Stainless steel sideplates, two 4″ aluminum sheaves, needle bearing, and stainless steel axle. Stainless steel sideplates, three 4″ aluminum sheaves, needle bearing, and zinc-plated steel axle. Knot-passing pulley allows passage of joining knots Large diameter sheave mounted on sealed ball bearings for excellent efficiency. Constructed of high strength alloy aluminum. 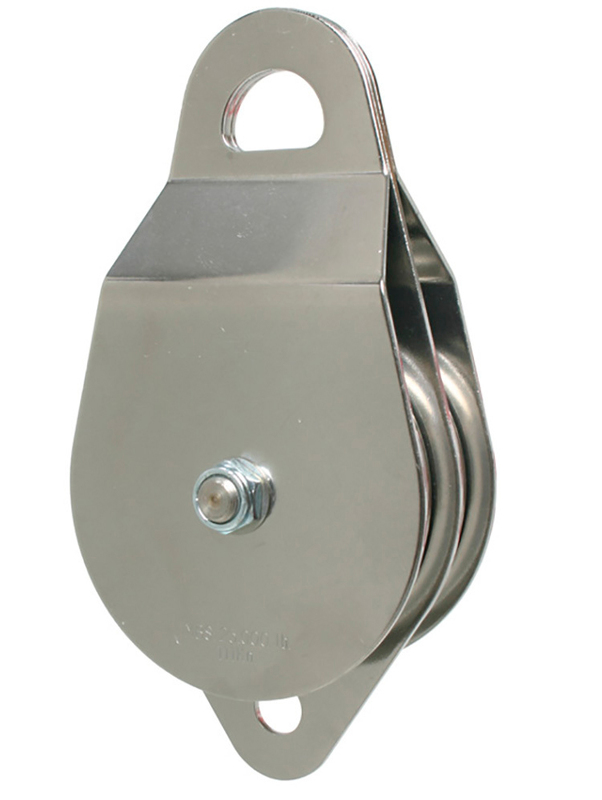 4″ diameter by 3″ wide pulley sheave with Oilite® bushing. 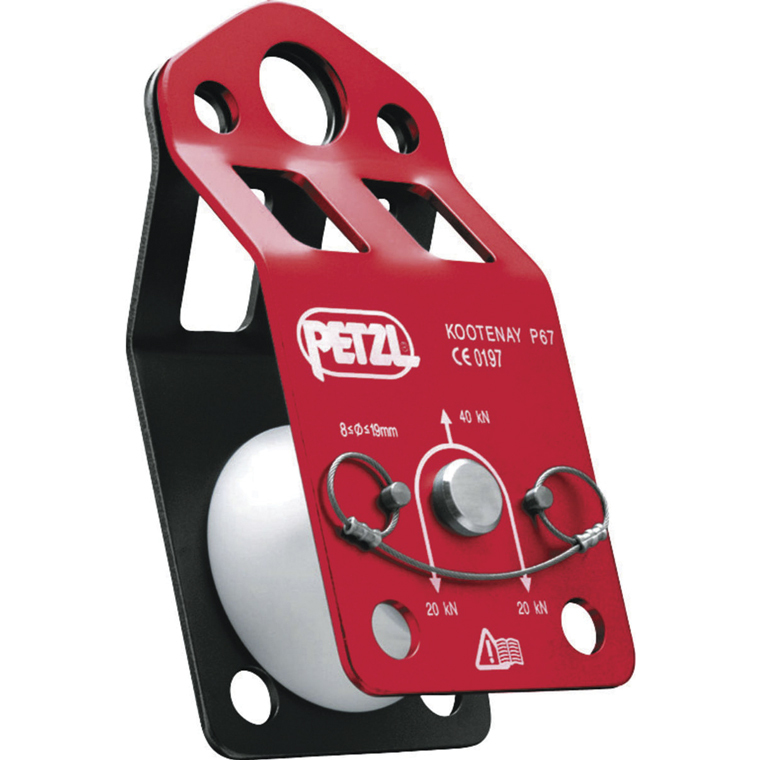 Rotating sideplates allow pulley to be attached to rope at any point. 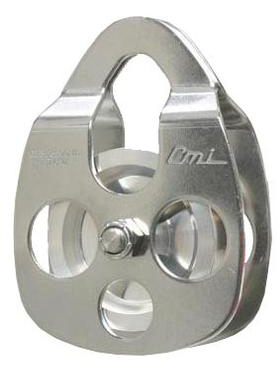 Will accommodate ropes up to 2″ diameter. Stainless steel sideplates, two 2″ stainless steel sheaves, ball bearings, and stainless steel axles. Stainless steel sideplates and sheaves, ball bearings and stainless steel axles. Featuring stainless steel axles on all models and employ either a sintered bronze bushing or sealed needle bearing. 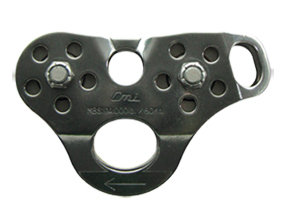 All models feature our now famous “wide skirt” sideplate design for maximum rope protection. These are the most versatile rescue pulleys available and their lightweight, compact design makes them a pleasure to carry. Now there’s a pulley that’s as serious about rescue as you are! We’re talking 16,000 pound breaking strength with 5/8″ rope capability. 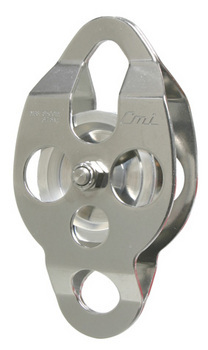 The extra large rigging point accepts the largest carabiners–two of them. The extra wide, skirted sideplates fully enclose 5/8″ rope. 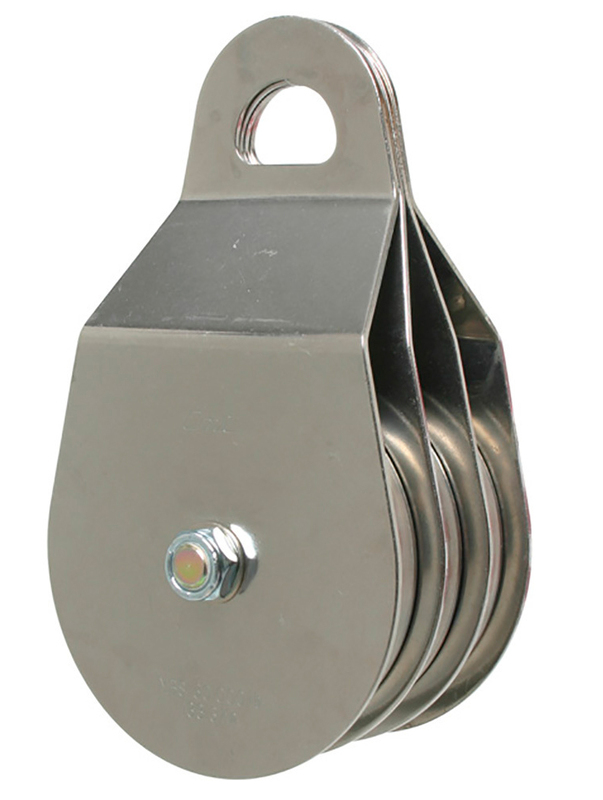 Available in 3 or 4 inch sheave diameter, with needle bearings or bushings. 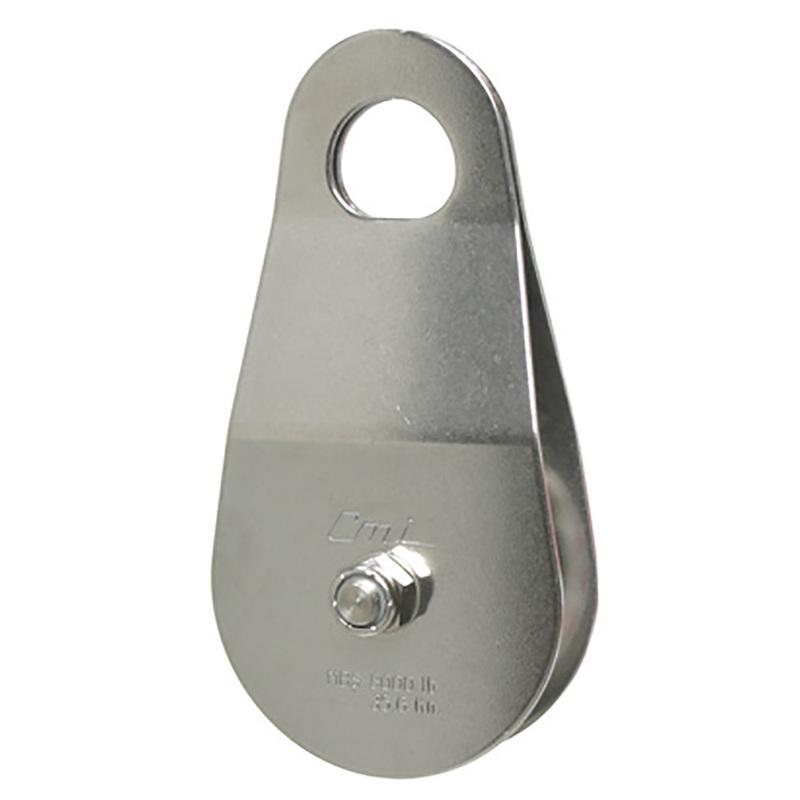 The 2 3/8”aluminum sheave models are ideal in rescue situations for use with rope. 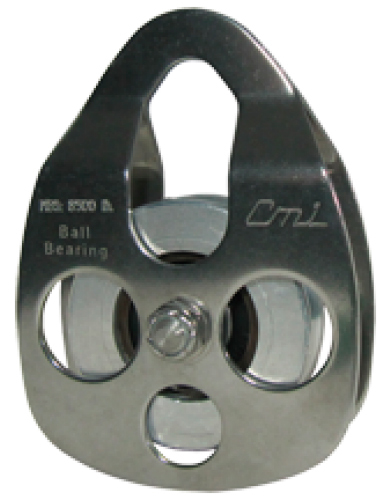 By using the extra rigging hole at the bottom of the pulley, they can be daisy chained together in block and tackle fashion or the lower hole can be used to direct the load. 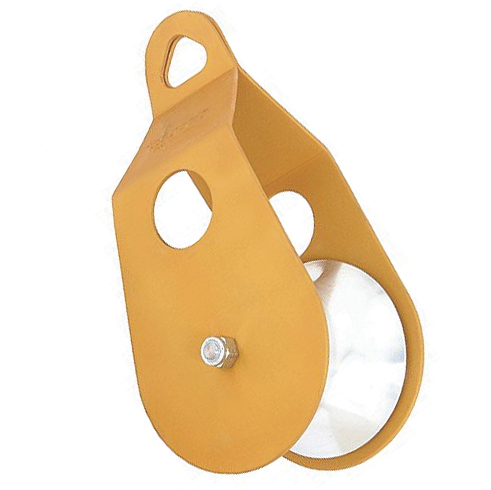 The 2 3/8” steel sheave models are outstanding for use with steel cable. In high line situations the extra hole can be clipped together for an extra margin of safety.